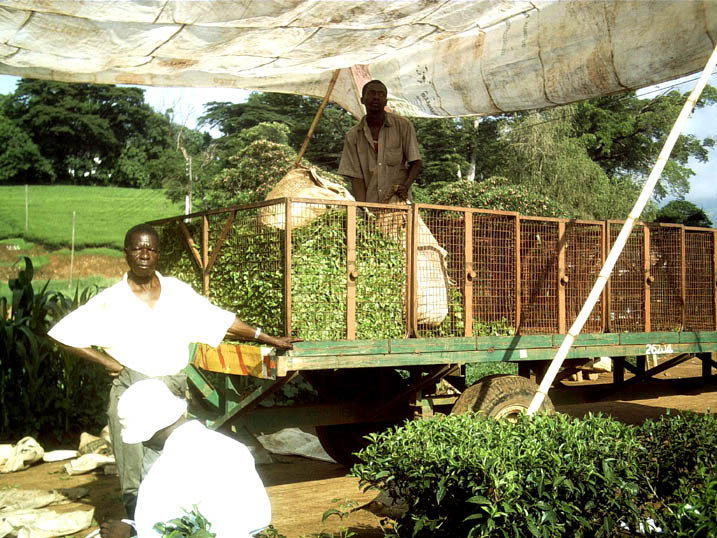 Leaf is collected by Lujeri, weighed, recorded against the farmers who produced it and then transported to the factories for processing. Farmers now enjoy prompt monthly cash payments and half yearly bonuses based on the factory profit and auction prices achieved in the weekly Limbe tea auction. In 2008 Lujeri assisted the smallholder farmers to organize the Sukambizi Association Trust. 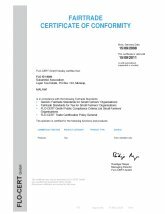 This trust and its member farmers have now received the Fairtrade certificate of conformity for the four standards reflected on the certificate reproduced here. Fairtrade certified tea enjoys a significant sale price premium, all of which is paid to the Trust, for the sole purpose of community development projects in the district and villages where the farmers live with their families and grow tea. Lujeri employs a senior manager and five agricultural extension managers who devote all their time and efforts to assisting the development of good farming practices by the farmers. Some 70 village based trainers were taught to instruct their neighbours in the agricultural skills required to produce tea, improve quality and increase yields. In addition, training materials, previously available only in English and therefore inaccessible to nearly all farmers, were translated into the locally understood Chichewa. The PPP project assisted farmers to set up their own nurseries and these nurseries now supply 700,000 plants in a year, while providing cash income for the newly trained nursery operators. 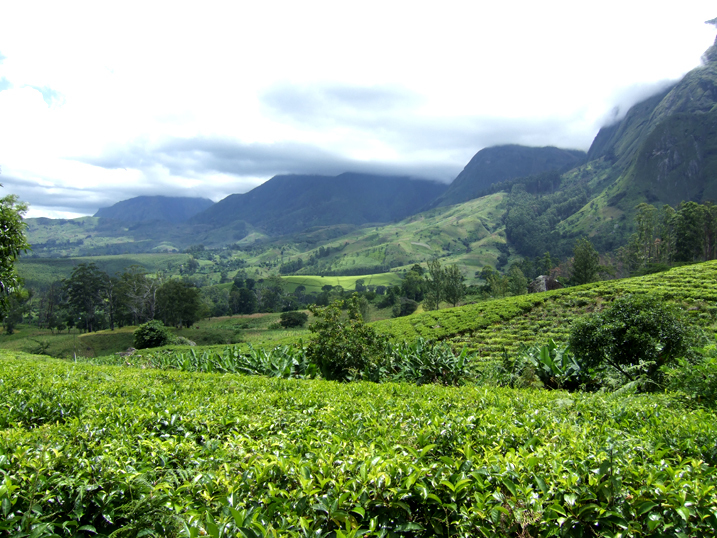 700, 000 plants is equivalent to more than 53 hectares of tea. A further 500, 000 plants were supplied by Lujeri. Lujeri supplies fertilizer, on credit at the cost at which it buys in bulk for its own use. This assists the farmers in several ways. The fertilizer is delivered to them on estate transport, saving them the need to carry bulky fertilizer from distant retailers over poor roads. They pay 30% less than the retail price for fertilizer, and the fertilizer supplied is the optimum chemical make up for tea plants. 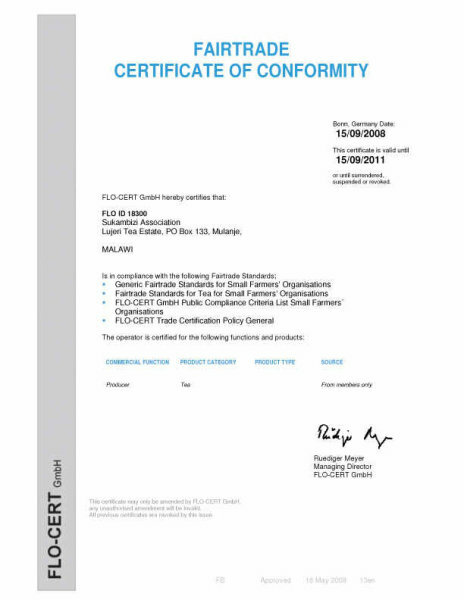 The fertilizer is available when required by the farmers and is paid for by them later in the year in installments which matches the payments they receive for their crop. Lujeri pays over 1.2 million US dollars to smallholders each year, most of which is spent by the farmers in the local community, benefiting farmer and non farmer alike and encouraging economic development of the area. Lujeri sees the smallholder farmers as important stakeholders in its business. The growth of these farmers in numbers, hectares planted and tea produced will continue to be encouraged to the good of Lujeri, the smallholder farmers and the community in general.